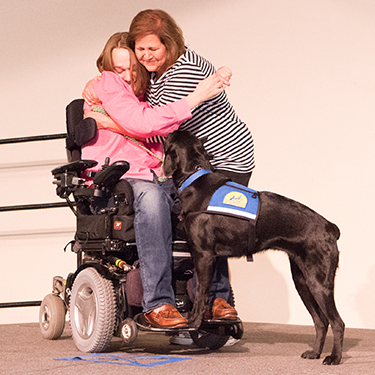 Join us at 12 noon on Friday, May 10, 2019, to honor the newest recipients of Canine Companions assistance dogs in the Southwest Region. Graduation will be held at North Coast Church in Vista, California. Graduations are open to the public with free admission. Canine Companions' graduation ceremonies occur four times a year. At these inspiring events, people with disabilities graduate with their new, expertly-trained assistance dogs. These dogs have been in training for over two years and know approximately 40 commands including opening doors, operating light switches and retrieving dropped objects. 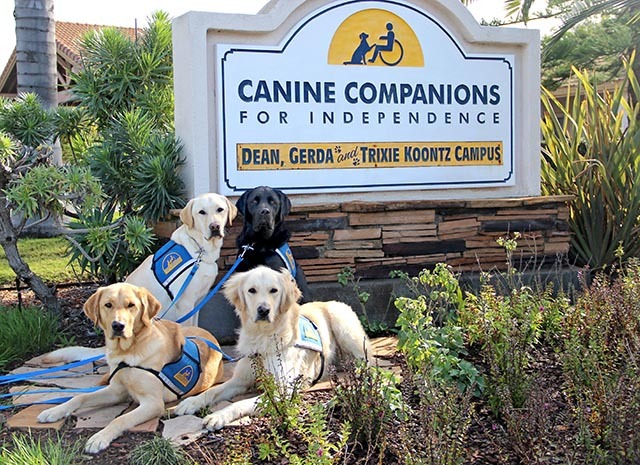 The graduation ceremony is the culmination of an intensive, residential, two-week Team Training course with these new human/canine partners at the Canine Companions Southwest Training Center in Oceanside. For more information, call (760) 901-4300. If you are traveling from outside of Oceanside, click here for lodging information and deals. Photos from February's graduation ceremony provided by Allison Tenney Photography. You can download or purchase prints here. Allison has kindly offered to donate a portion of the proceeds from all prints purchased back to Canine Companions for Independence. Watch the Southwest Graduation Ceremonies Live! Click here to view past Southwest graduation ceremonies.